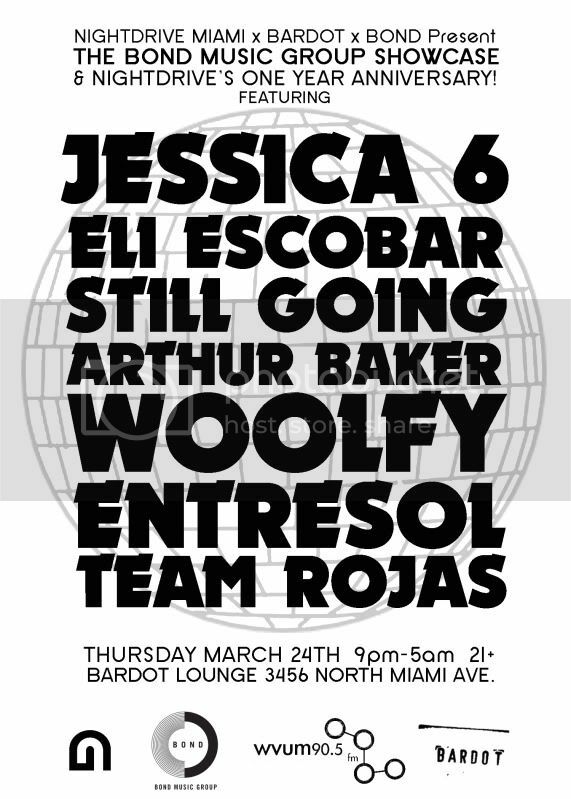 Today's show features a special mix by ELI ESCOBAR who will be DJing in Miami this Thursday at Bardot for Nightdrive's One Year Anniversary (see flyer below). He'll also be calling WVUM today at 6pm for an interview. Tune in on 90.5 FM or online at wvum.org.